– SUNBLOCK VS VENICE BEACH MEAN ONES>> After a lot of controversy in the playoffs last year in the first round of playoffs “Sunblock” are coming back with a team stronger than ever. The Grinch is up to something spectacular as well! – NCAA STAY IN SCHOOL VS TEAM MAZALTOV >> The College boys ran by ” Mr Pony Tail” himself are going against a Jewish All Star team that are mostly coming from ivy league schools! – UNITED NATIONS VS SKID ROW AMBASSADORS >> This match up has had numerous consecutive overtime games and known to be some of the flashiest most entertaining teams in the league! 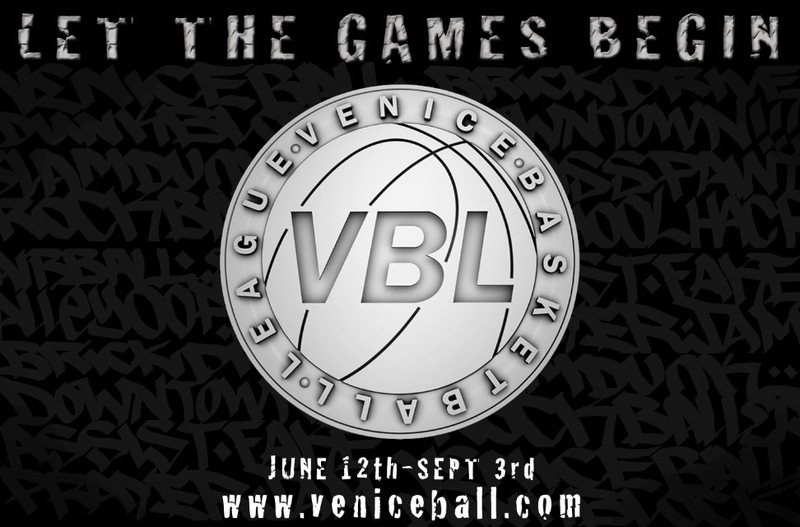 – VENICE ALL STARS VS “WHITE COLLARS” >> The 3 X defending champions are going against the corporate boys that were all amazing student athletes and showed their worth @ The VBL tryouts. along with the originals DB, Mouthpiece, Sonny Wells and more amazing commentators. THE SCRATCH ACADEMY WILL BE IN THE BUILDING ROCKIN IT LIVE ALL DAY along with THE SCHOOL TOUR and their incredible talent!